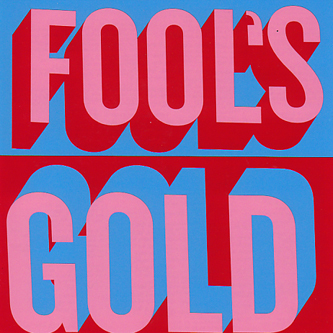 Arriving fresh out of the LA-Pop pressure cooker, Fool's Gold land their debut album of 80's dancepop-meets-Congotronics into a very ripe musical climate. The fact that they're on Iamsound - next to the likes of Little Boots, Telepathe and Florence And The Machine - should give you some indication of the pop-primed level these guys are operating at, with a zeitgeist surfing Afro-beat flavour for good measure. The group (maybe collective?) are centred around two main songwriters, a classically trained reggae and world music fan, and a multi-cultural Israeli ex-pat who personalizes his songs with alternating English/Hebrew verses. They're backed by a gaggle of percussionists and various ex-members of We Are Scientists and Foreign Born, amassing a skilled workforce who enable them to achieve the bold fusion of driven dance music with a lilting melodic sharpness.